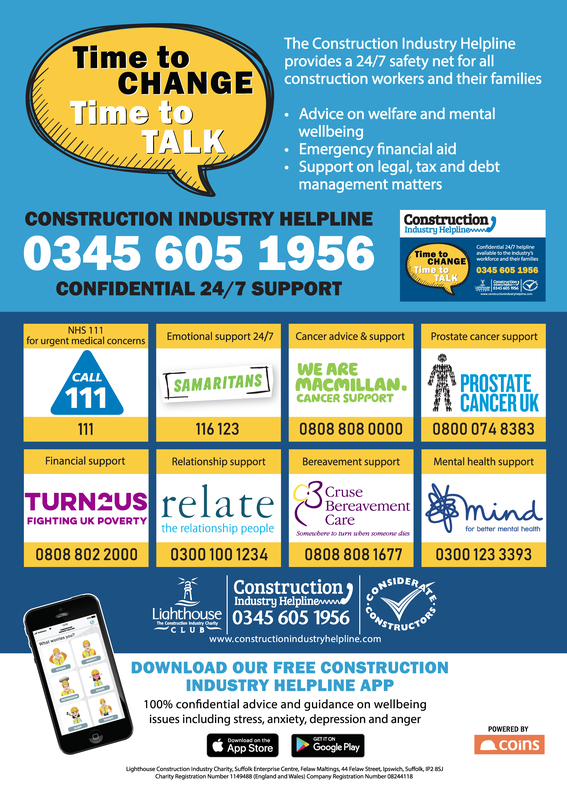 The Construction Industry Helpline provides support and advice on a range of topics from occupational health and wellbeing, to financial aid in times of hardship caused by accident, illness, injury or bereavement. The Construction Industry Helpline is funded and supported by businesses and people in the construction industry, for the benefit of the people in our industry. Support on career changes, especially after an accident or injury. 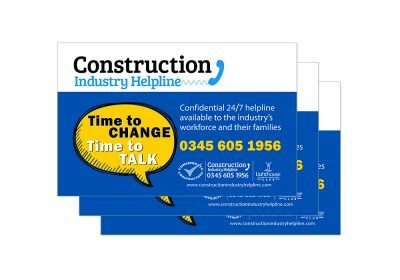 Those working in the industry, as well as their families, can contact the Construction Industry Helpline by calling the 24/7 confidential helpline on 0345 6051956, or by downloading the free app. 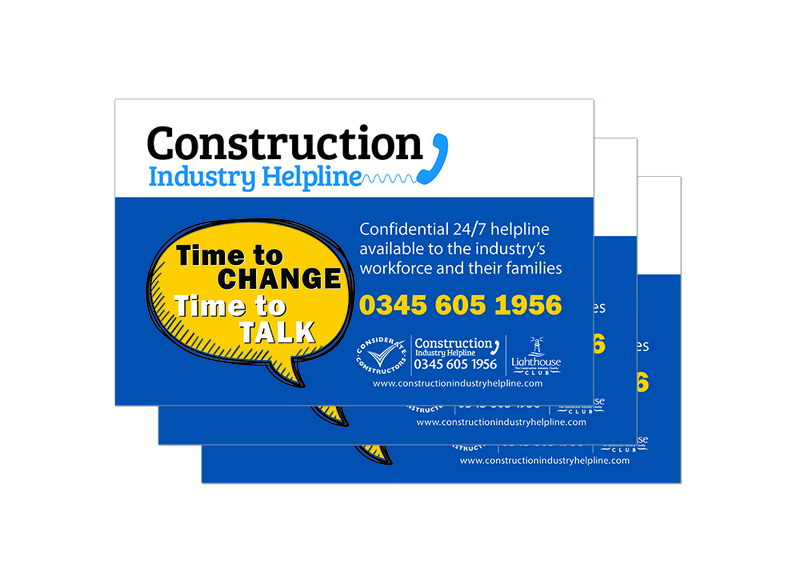 To order a Construction Industry Helpline pack for your workforce which includes A2 posters and credit-card style handouts to support the Construction Industry Helpline, click here. To find out more about the Construction Industry Helpline, watch the video below.